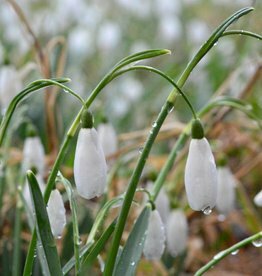 Snowdrops are always the first to brighten up the spring. 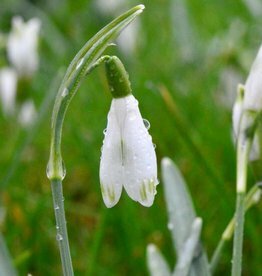 Galanthus elwesii can even flower at Christmas! 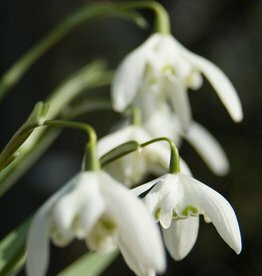 The white, neutral colour combines well with many other (stinzen)bulbs. 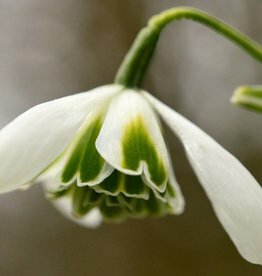 For combination ideas click on the sorts below. 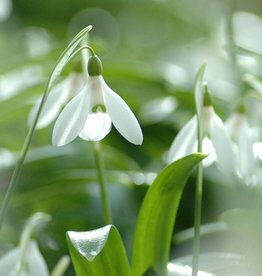 At the top of our Snowdrop list you’ll find the more common sorts. 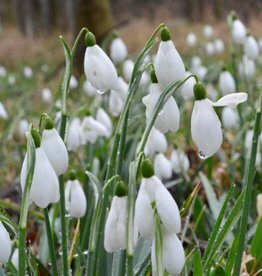 These are ideal Snowdrops for naturalising. 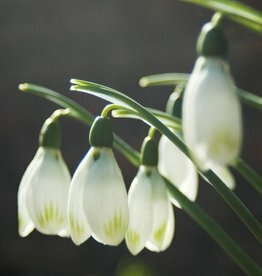 If you’re looking for something a little more special then scroll down the page; from G. ‘St. 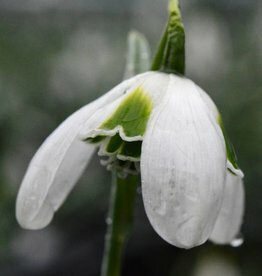 Arnott’ onwards you’ll find the more unusual varieties. 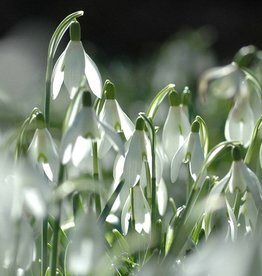 We also sell a number of Snowdrops as smaller bulbs. 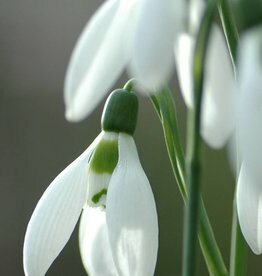 These are good value for money if you’re planting a large area.